One of my friends is in town this weekend, so I’m doing my best to hang with him as much as possible. Short and sweet, here goes. My Dollar Plan-Do You Need a Local Bank? PF Firewall-What Is Your Dollar Really Worth? I finally have the personal finance carnival groove back! Yes I am Cheap hosted the Festival of Frugality #199: Damn, no bonus edition. As always, thank you to the hosts. These are great carnivals and should be checked out in great depth. Get on it! Many male marsupials have forked penises in order to function properly with female marsupials, who have two vaginas. The “black box” in an airplane is actually orange. 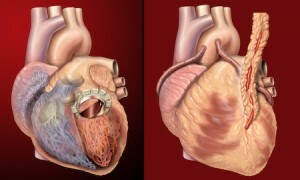 The human heart creates enough pressure when it pumps to the body, to squirt up to 30 feet. Weekly Links: 8/15/9-Now With Random Knowledge! Weekly Links: 8/22/9 With Random Knowledge! Next post: Financial Starvation-Should I or Shouldn’t I?